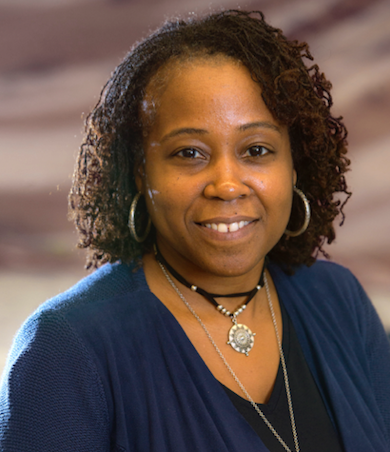 Dr. Ayanna Howard is an educator, researcher, and innovator. Her academic career is highlighted by her focus on technology development for intelligent agents that must interact with and in a human-centered world, as well as on the education and mentoring of students in the engineering and computing fields. Dr. Howard has made significant contributions in the technology areas of artificial intelligence, computer vision, and robotics. Her published research, currently numbering over 200 peer-reviewed publications, has been widely disseminated in international journals and conference proceedings. She has over 20 years of R&D experience covering a number of projects that have been supported by various agencies including: National Science Foundation, Procter and Gamble, NASA, ExxonMobil, Intel, and the Grammy Foundation. She continues to produce novel research and ideas focused on applications that span from assistive robots in the home to therapy gaming apps to remote robotic exploration of extreme environments. By working at NASA before entering the academic world, she brings a unique perspective to the academic environment. Currently, Dr. Howard is Chair of the School of Interactive Computing in the College of Computing. She is also the Linda J. and Mark C. Smith Chair Professor in the School of Interactive Computing and the School of Electrical and Computer Engineering at the Georgia Institute of Technology where she functions as the Director of the Human-Automation Systems Lab (HumAnS). In 2015, she founded and now directs the $3M traineeship initiative in healthcare robotics and functions as the lead investigator on the NSF undergraduate summer research program in robotics. She received her B.S. from Brown University, her M.S.E.E. from the University of Southern California, her Ph.D. in Electrical Engineering from the University of Southern California, and her M.B.A. from Claremont University, Drucker School of Management. To date, her unique accomplishments have been highlighted through a number of awards and articles, including highlights in TIME Magazine, Black Enterprise, and USA Today, as well as being named a MIT Technology Review top young innovator and recognized as one of the 23 most powerful women engineers in the world by Business Insider. In 2013, she also founded Zyrobotics as a university spin-off and holds a position in the company as Chief Technology Officer (CTO). Zyrobotics, LLC is currently licensing technology derived from her research and has released their first suite of mobile therapy and educational products for children with differing needs. From 1993-2005, Dr. Howard was at NASA’s Jet Propulsion Laboratory, California Institute of Technology, where she was a Senior Robotics Researcher and Deputy Manager in the Office of the Chief Scientist. She has also served as the Associate Director of Research for the Georgia Tech Institute for Robotics and Intelligent Machines and as Chair of the multidisciplinary Robotics Ph.D. program at Georgia Tech.